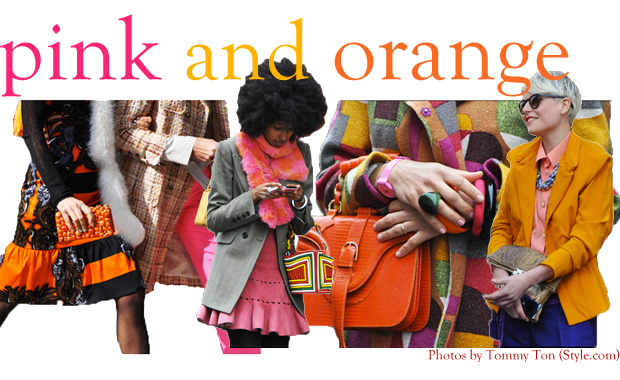 This spring, pink and orange are the colors to wear. Preferably together. 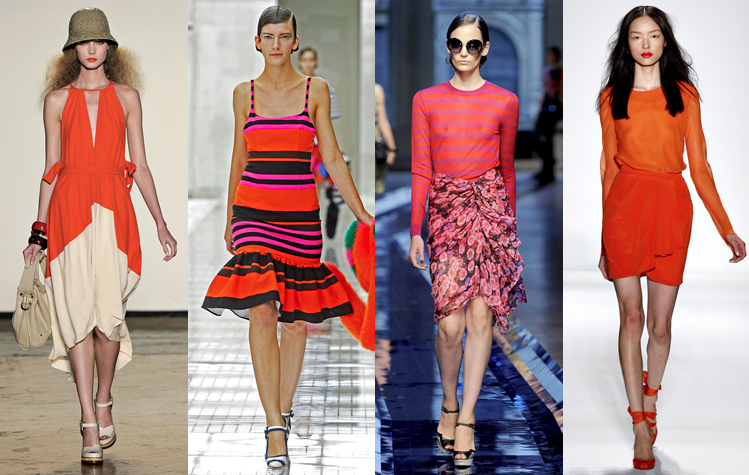 From fuschia, to melon, to coral, to poppy, to papaya — pinks and oranges are “in” in a big way. And what more playful and fun colors to bring in the new season? One of the best things about these warmer-hued colors is that they pair perfectly with another current trend — neutrals. Nudes and blushes rejoice! You now have bright, powerful shades to contrast your subdued simplicity. In order to pack a punch to your popping shades, try to stay away from ultra-feminine styles — ruffles, A-line skirts and bows need not apply here. 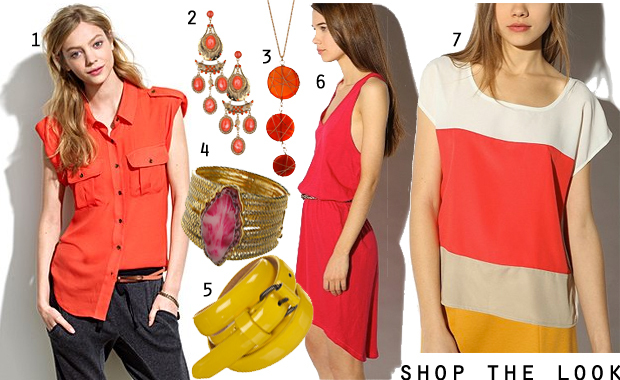 Instead, go for bold silhouettes with strong lines to emphasize the color without being overwhelming. Update: Just found these super cute and affordable Nine West shoes that are wonderfully pink and orange! They ship April 26.